The story of Noah and the Flood has been told for millennia, studied for centuries, and debated for decades. And in March, Image Comics will add a fresh voice to the conversation. 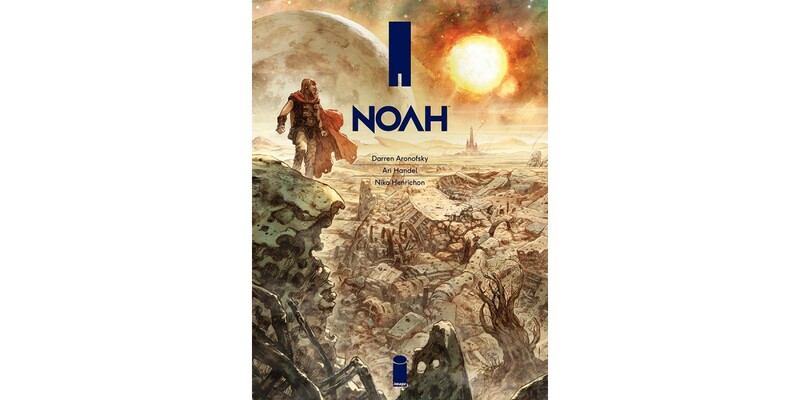 NOAH, a new graphic novel written by Academy-Award- and Golden-Globe-nominated writer and director Darren Aronofsky (Black Swan, The Wrestler) and Ari Handel and drawn by Niko Henrichon (Pride of Baghdad) will add to the fascinating exploration of this eternal story. Drawing from myth, history, and unchanging truths of the human experience, Noah offers a new perspective on the Biblical patriarch, his family, and the ill-fated world they inhabit. In addition to the hardbound edition with a cover by Henrichon (unveiled on Tuesday by Entertainment Weekly), the lushly illustrated, 256-page graphic novel will also be available as a limited deluxe edition, signed and numbered by the creators. The NOAH special edition will be oversized, with covers and slipcase bound in white linen and beautifully gold-foil-stamped with an elegant, minimalist design. The special edition will be limited to 300 copies and retail for $200. Both editions will be in stores on March 18. 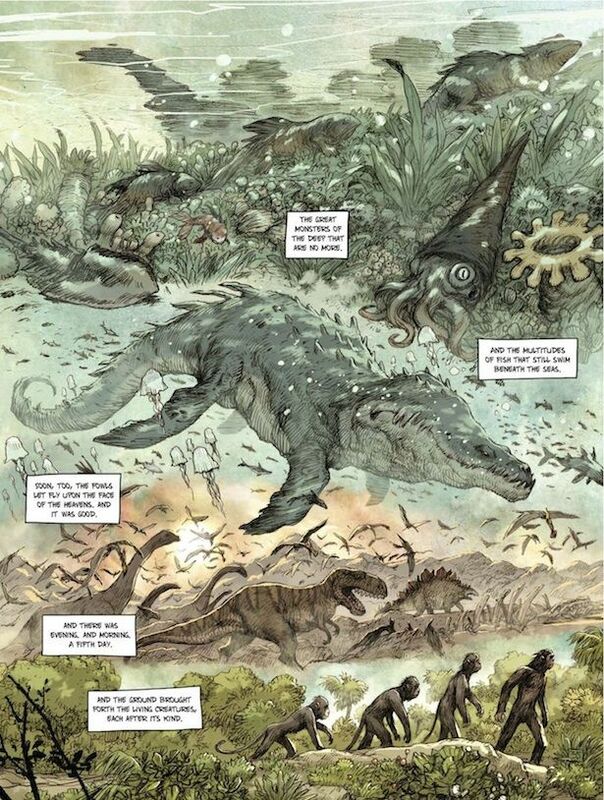 A ten-page preview of NOAH is on Image Comics’ website. NOAH is based on the first draft of the screenplay of the hotly anticipated film, starring Russell Crowe, Jennifer Connelly, Emma Watson, and Sir Anthony Hopkins. The film Noah will premiere on March 28. 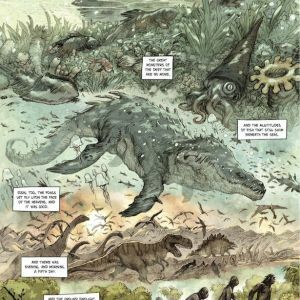 "Niko Henrichon is one of the greatest living artists of graphic novels, and a book from him of this scope is a once-in-a-decade experience. I can't wait for Darren Aronofsky's film, but this NOAH is very much its own story, one whose beauty would be just about impossible to translate to any medium but comics."